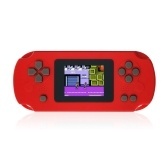 X16 handheld game console is a multifunctional game console, it can also be used as a MP3/MP4 player, such as picture viewing, e-book reading. 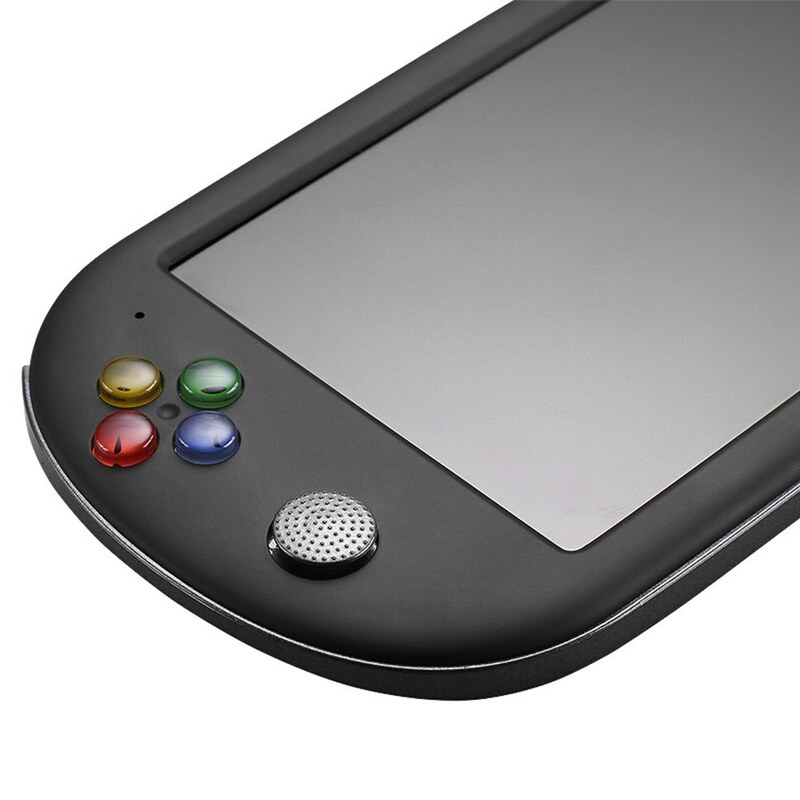 7" colorful screen ensures great visual experience. Also allowing memory of breakpoint, enabling game automatically archived to continue playing next to the direct read on the progress. 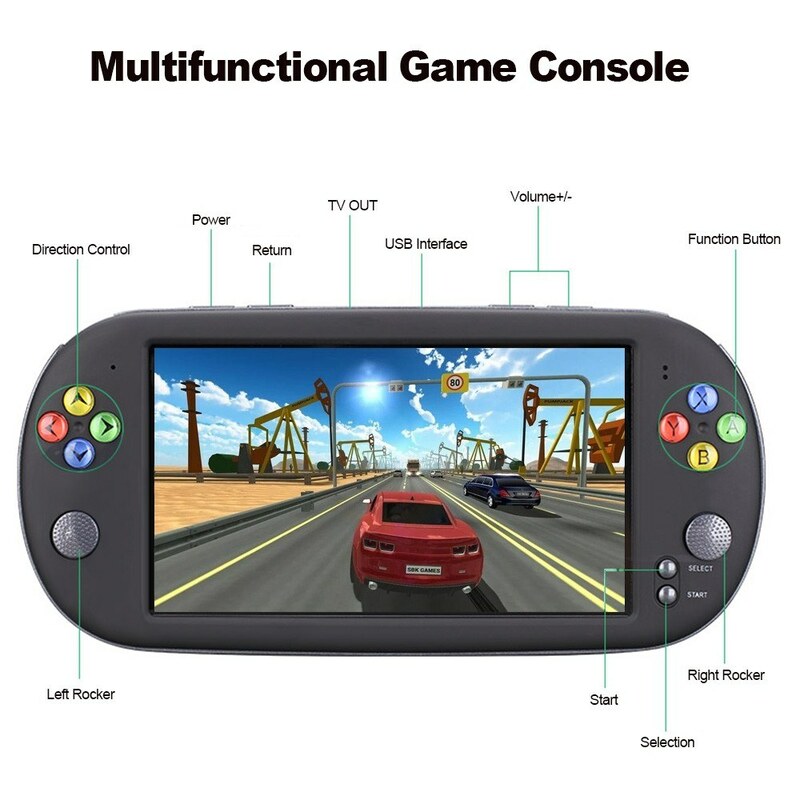 [Mutifunctional Game Console]: It is a multifunctional game console, also support picture viewing, video watching, music listening, e-book reading, dictionary, and picture taking, etc. [Up to 29 Languages]: Supports up to 29 kinds of foreign languages, convenient for you to operate. No matter where you are, you can find a language fits you. [User-friendly Design]: With double rocker, it is easier to operate in the game. 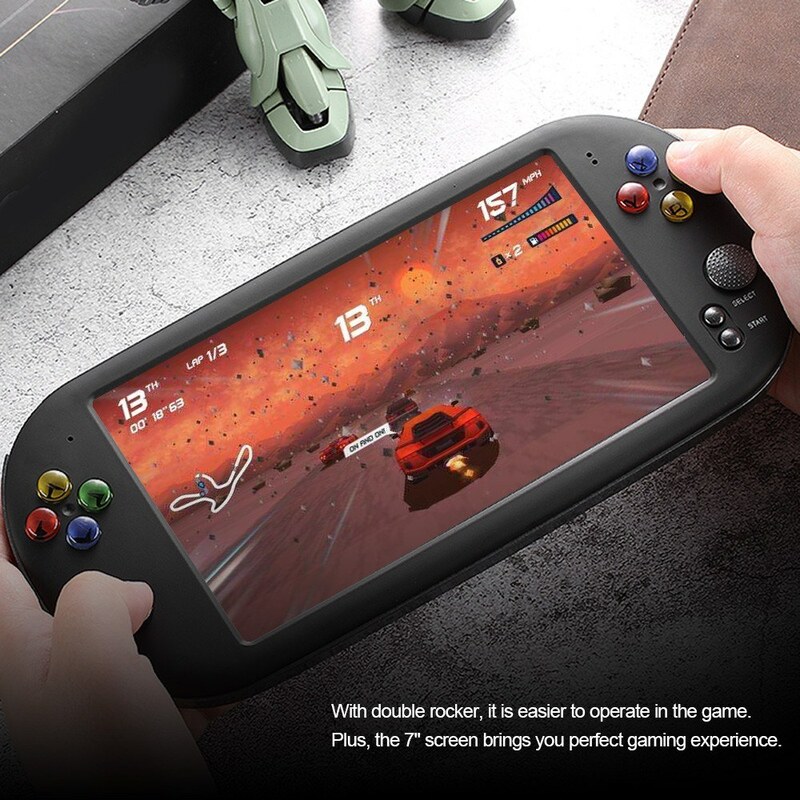 Plus, the 7'' screen brings you perfect gaming experience. [Large Capacity]: With 8GB capacity, also support TF card reading up to 32GB, provides you with large capacity. [Connecting External Devices]: You can connect with USB devices and PC to download games and use the AV interface to have a bigger visual experience on TV screen. Note: It supports TF card reading up to 32GB. Q What website do you go to in order to download games if there are none on the system itself? Thanks. 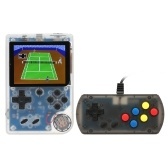 A The product supports CP1 CP2 Neogeo SFC FC GBA MD GBC and other game types. There are no specific game sites, as long as these types of games can be downloaded, thank you. Q Hi. Do you ship to Singapore? And how long does it usually take to ship here? A Yes , this item can be shipped to Singapore. Usually,If you choose the standard shipping,it will take 7-25 business days. If you choose the Expedited Shipping*(DHL),it will take 3-7 business days, but DHL may have tax, thanks. 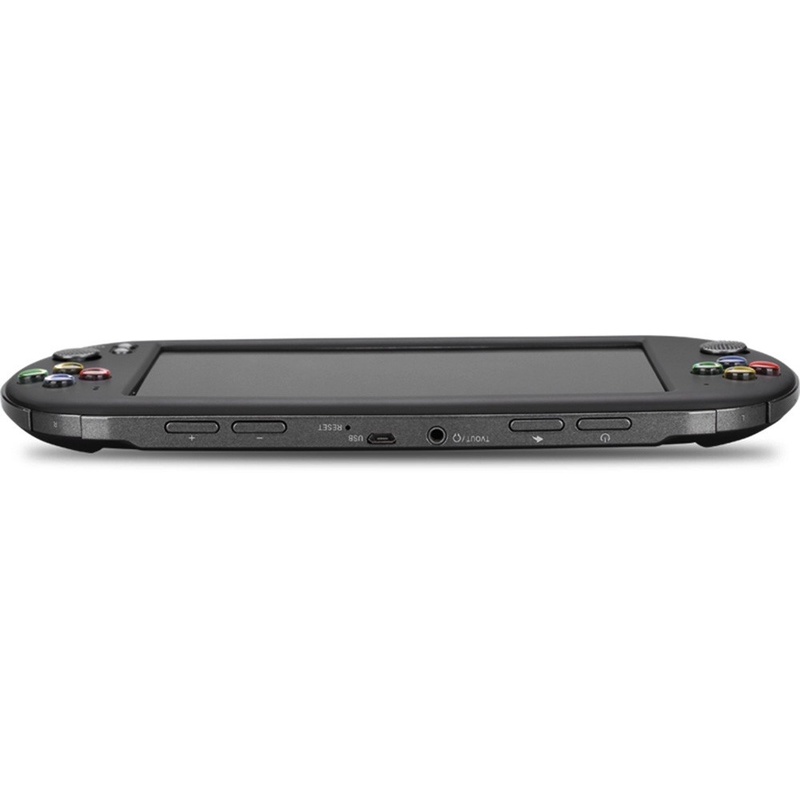 Q Can i play Nintendo 64 games on the X16 Console? A Yes, Of course you can . 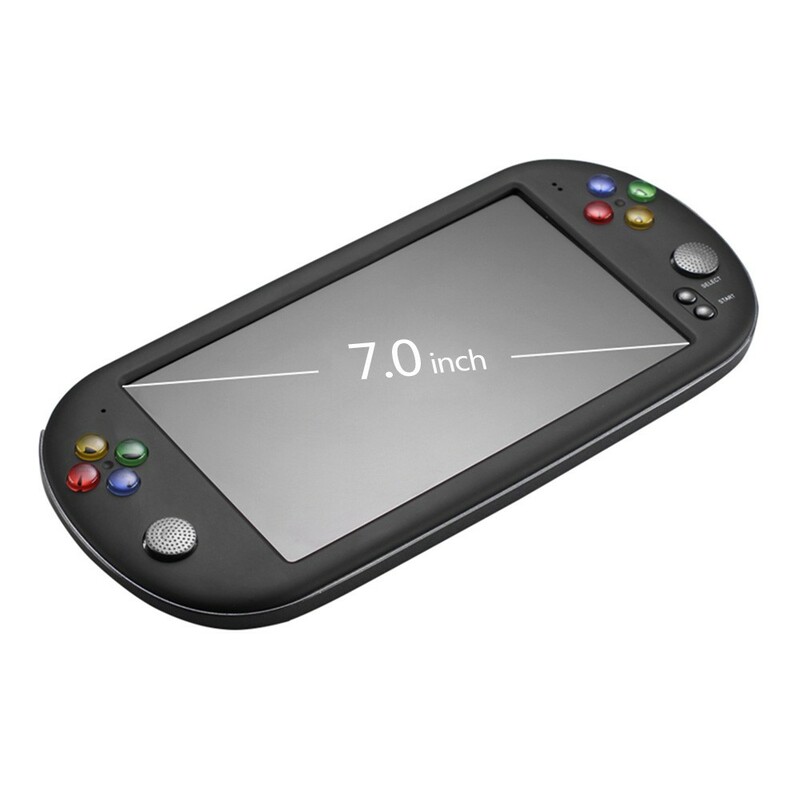 Q Which version of Android is this handheld running? 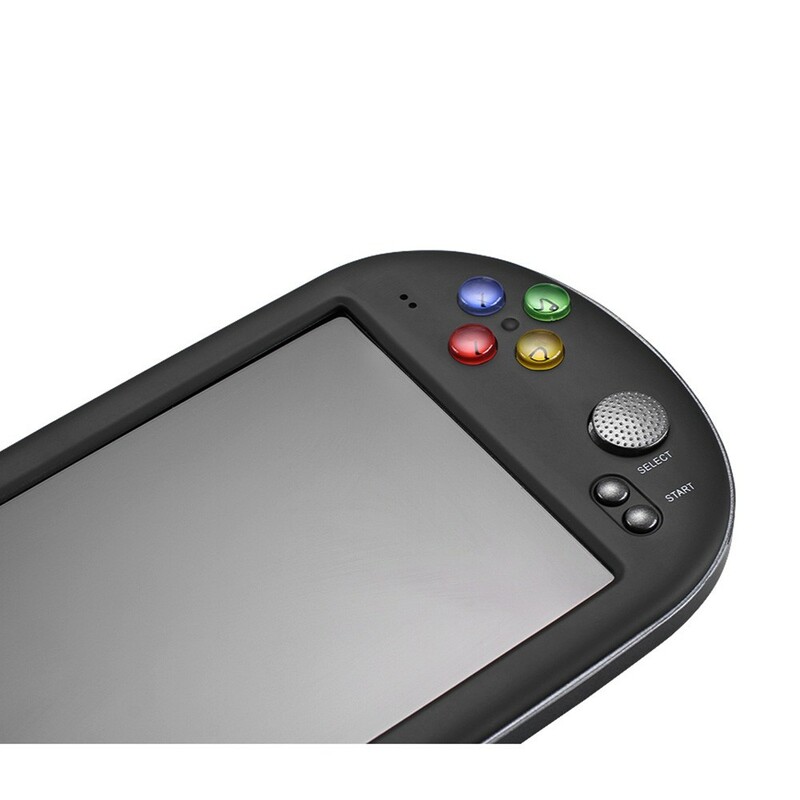 A Hello, the product is a built-in emulator, not an Android system. Game files in the corresponding format supported by the emulator can be extended. Such as NES, GBA and other formats. Q Hi, can you also install ps1 games? 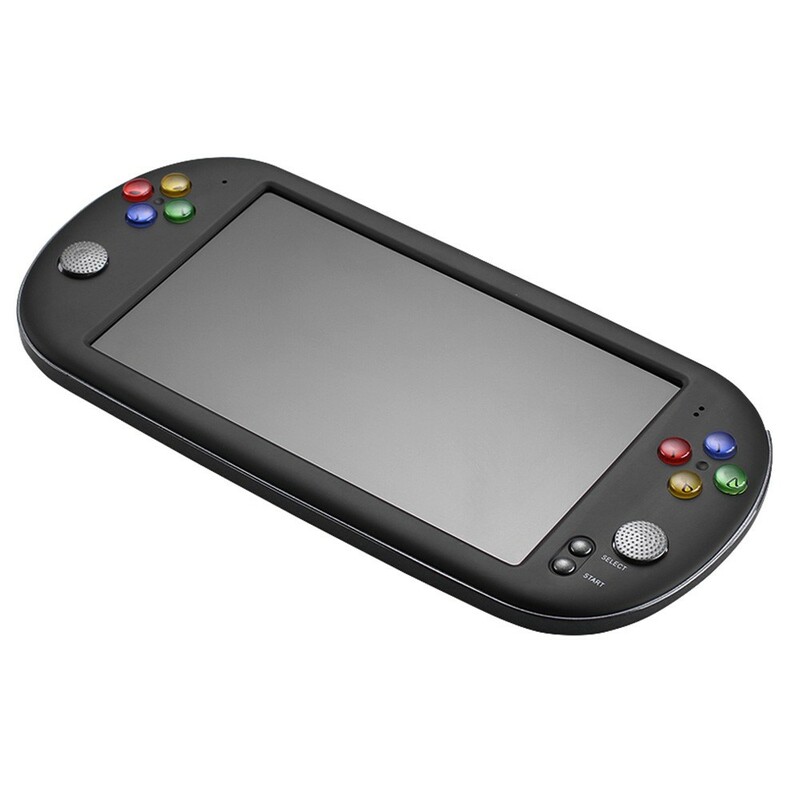 Is it difficult to put games in the console? What do I need to download and install? A You can download and install any game on the corresponding game website according to the game format. Download and install is simple and easy to operate, thank you. A It does not come with any games, you can download them ,thanks. A It does not come with any games .you can download them by yourself, thanks. A It does not come with games,but you can download it . We can ship it to your country , thanks. 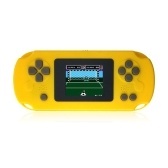 A Support CP1 CP2 Neogeo SFC FC GBA MD GBC and other game types. Q Hi. How many games does this machine come with? Thanks. 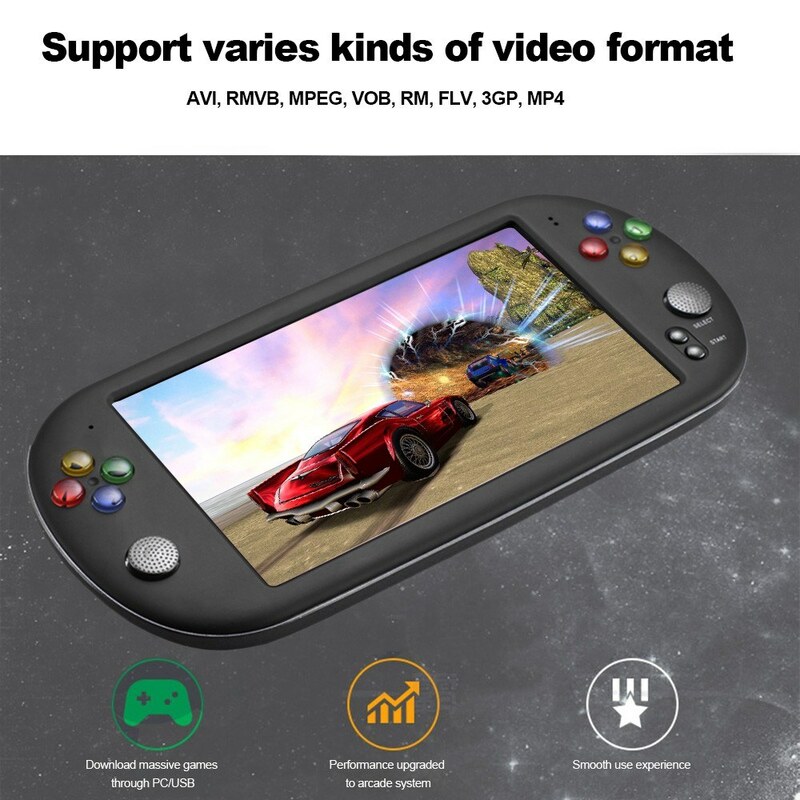 A The product does not have a built-in game, but supports downloading the game, thank you. Very happy, all great also the super fast shipping.Videogame is compatible with a lot of formats of mame. thanks tomtop!! Fast delivery and works perfect TOMTOP!!! 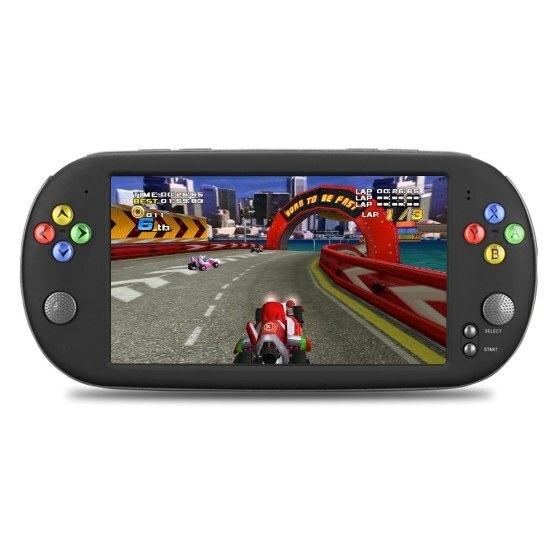 Fantastic console excellent value for money. Delivered within 6 days I would highly recommend this product. 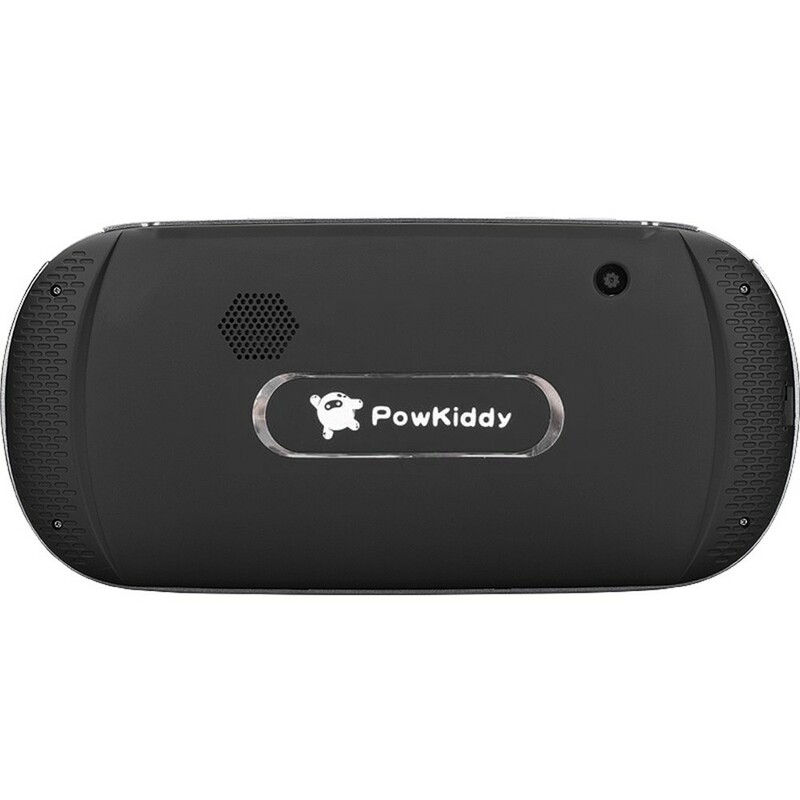 Thank you tomtop for the excellent service I now have the Powkiddy X16 added to the collection! Very good system!! 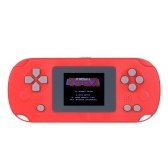 Definitely worth the money and a little waiting for delivery (about 10-12 business days) to raise your hand to the best retro handheld console! 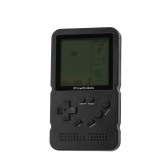 Great I recommend it as a gift for 80s and 90s kids. My children and I enjoy playing some of the games that I played when I was younger. So many games!!! A great buy. What more can I say I've been waiting for this for more then 24 years it has all of the arcade classic! This is a great machine , the quality material is pretty good. My friends liked mine so much that we had order another one HAHAHA. Also their customer service is pretty good they will answer really fast.